If you don’t lodge a tax return or statement with the ATO when it is due, the ATO can send you a default assessment or a notice of estimate. This means that the ATO makes an estimate of your tax and charges you that amount. The worst thing about a default assessment or a notice of estimate is the penalty that the ATO will charge. It can charge a penalty of up to 90% of the primary tax debt (for income tax, GST and PAYG withholding). It can do this under section 284-75(3) of Schedule 1 to the Taxation Administration Act 1953. As a starting point, the ATO determines the base penalty. This is 75% of the underlying tax liability that the ATO has assessed or estimated. For example, if the ATO estimates that you have a PAYG withholding liability of $10,000, then the base penalty is $7,500. Step 2 – is there a reason to decrease the base penalty? It is possible that the base penalty could be reduced. statements in a publication made by the Commissioner of Taxation. Whilst a decrease of the penalty for one of these reasons is technically possible, it does not happen often. Step 3 – is there a reason to increase the base penalty? The ATO can increase the base penalty amount by 20% if you have had to pay another default administrative penalty. This includes where you have failed to lodge more than 1 return or document, so the ATO has issued you with several default assessments at once. This 20% increase is 20% of the base penalty; it is not an extra 20% on top of the 75%. As such, where there is a 20% increase to the base penalty, the total penalty is equal to 90% of the underlying tax liability. Luke runs a small auto repair shop through a Family Trust. He has 4 employees who work in the shop and a receptionist who works at the front desk. The ATO has reviewed the figures from the employees’ tax returns. The employees have each reported income and that PAYG withholding tax has been withheld from their pay. The ATO matches this with the Family Trust’s reporting. It finds a discrepancy – the Trust hasn’t reported any PAYG withholding tax for a year (i.e. 4 quarters). The ATO decides to audit the Family Trust and its compliance with its employer obligations. During the audit, the ATO gives the Family Trust the chance to lodge its outstanding activity statements. Luke doesn’t take this seriously. He doesn’t prioritise the ATO’s request. He doesn’t think it really matters if he lodges the statements. The employees have already told the ATO what was withheld from their pay, so the ATO already has the information – isn’t that enough? Unfortunately for Luke, it’s not enough. By not lodging the outstanding activity statements when he was asked to, Luke has made a very expensive mistake. The ATO can, and does, use the information available to it to estimate the Family Trust’s PAYG withholding tax liability. It estimates that the Family Trust withheld $10,000 for each of the 4 activity statements. The ATO issues a Notice of Estimate of Liability, which charges the Family Trust the estimated amount of PAYG withholding amounts. This is $40,000 over the 4 quarters. The ATO charges default administrative penalties because the Family Trust didn’t lodge its BAS and the ATO had to make the estimate. The ATO decides that there is no reason for it to reduce the penalty because none of the three reasons for reduction exists in Luke’s case. The penalty for the first quarter is $7,500 – i.e. 75% of the unpaid PAYG withholding tax. The penalty for each of the other quarters is $9,000 per statement – i.e. 90% of the unpaid PAYG withholding tax. This increase is because the ATO has already applied an administrative penalty. There was a penalty for the first quarter, so the base penalty is increased by 20% for each of the three remaining quarters. It doesn’t matter that the penalties are all imposed at the same time. The outcome of the ATO’s audit is that the Family Trust has a huge tax debt of $74,500. Only $40,000 of this is ‘real tax’. $34,500 is default administrative penalties. The Family Trust could have avoided this penalty if it had lodged the outstanding statements before the ATO issued the Notices of Estimate of Liability. The ATO has a discretion to remit (i.e. reduce) all or part of the default administrative penalty. The ATO should consider this remission before imposing the penalty. A default assessment or Notice of Estimate of Liability is usually only issued if you are not co-operating or providing information to the ATO. This means that the ATO doesn’t usually have enough information to be able to remit the penalty before imposing it. Therefore, a default assessment or Notice of Estimate of Liability usually comes with full penalties applied. This means that you may have to object to the decision not to remit the penalty. This could be the only way to have your circumstances considered. Any objection should be prepared carefully. The ATO will consider many things in deciding whether to remit the default administrative penalty. If you made a genuine mistake and believed that you were not required to lodge a document with the ATO, then the ATO may remit the default administrative penalty. It would need to be clear that you had made a genuine effort to understand your obligations. For example, did you undertake research or get advice about your obligation to lodge? if you are unable to access your records for another reason, such as a major hard drive crash on your computer. Everyone’s situation is different. There may be other circumstances that would justify the ATO remitting the default administrative penalty. Whatever the circumstances, you will need to provide very detailed information about them to the ATO. You will need to be very clear in your explanation, so that it is easy for the ATO to understand. If charging the penalty would not provide an unjust result, then the ATO may remit it. The result would be unjust if the total of the penalty is excessive when your conduct is taken into account. However, the law requires the ATO to impose a 75% penalty – so the fact that the penalty is large will not, on its own, mean that there is an unjust result. There will need to be something more about your particular circumstances which would justify the remission. The ATO will usually conduct an examination or an audit before issuing a default assessment. If you have been cooperative during this process, then you may receive a remission of up to 80% of the base penalty. To qualify for this, you must have given help that exceeds a “reasonable cooperation”. This means more than just giving the ATO what it has asked for. For example, maybe you were able to give extra documents to the ATO which helped it to determine your tax liability. If you have this much information, then you should lodge the return or statement on your own. If you can do this, then you can avoid being issued a default assessment and charged default administrative penalties in the first place. Joel lodges and pays his PAYG income tax instalments for each of the 4 quarters in the 2017 income year. He pays a total of $25,000 income tax over the year. He doesn’t lodge his 2017 income tax return. The ATO issues him a default assessment for the 2017 income year and charges him $27,000 income tax. Joel should qualify for a remission of most of the default assessment penalty. This is because he had already pre-paid more than 95% of the tax that was owing under the default assessment for the 2017 income year. The ATO should give you notice in writing of your default administrative penalty and the reasons why this is payable. If you are unhappy with this – e.g. you think the ATO should have remitted the penalty in full – then you can object to the assessment of the penalty. If you are considering objecting to the penalty, then you should get advice about it as soon as possible. In some cases, you can have as little as 60 days to lodge your objection. You need to be careful with your objection. If you don’t provide the right information or if your arguments aren’t clear, the ATO may refuse your objection. You can then only have the matter looked at again by appealing to the Administrative Appeals Tribunal or the Federal Court. This can be an expensive, time-consuming and frustrating process. It is much better to get the objection right in the first place and save yourself the stress. The default administrative penalty explained in this article is in addition to the ordinary penalty for not lodging your return or statement in the first place. The amount of the failure to lodge penalty will depend on what sort of taxpayer you are, and how late you are in lodging your return or statement. As of 1 July 2017, the failure to lodge penalty for a small taxpayer (e.g. income of less than $1 million a year) is up to $1,050 for each late return or statement. 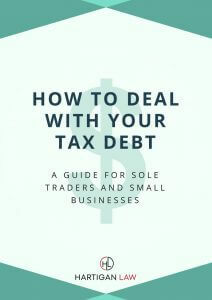 If the ATO has charged you with a default administrative penalty, then you should seek help from a tax disputes expert. You should act quickly – your time for lodging an objection could be as little as 60 days! The ATO can also take steps to collect the tax debt, so the sooner you sort it out, the less stressful life will be. I’ve helped many clients to object to default assessments and the default administrative penalties. In many cases, I have been able to have these reduced in full, helping my client to reduce their tax debt and get on with business.